Ultrafiltration is one of the types of clarification process that was undertaken in this study together with examining and comparing the storage period of clarified juice by other methods (enzymatically treated, centrifugation, microfiltration). 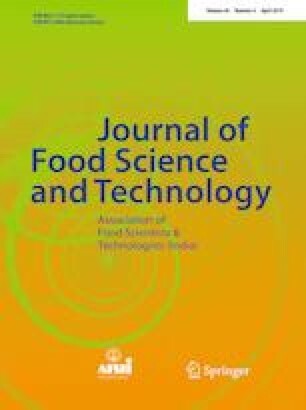 Centrifugation, ultrafiltration and microfiltration of jamun juice was carried out using a laboratory scale refrigerated centrifuge and filtration system. The juices obtained from various processes were evaluated on the basis of their physiochemical and microbial aspects over a period of 8 weeks. Enzyme treated and centrifuged juices were found to be degraded within 15–30 days while other juices had lesser changes in their properties. However microfiltered juice contained some yeasts and molds which increased with time. Ultrafiltration with 50 kDa pore size and 20 psi pressure was found to be the best method for clarification of jamun juice having a prolong shelf life with optimum qualities. It is hereby declared that all of the authors have read and approved the manuscript and there is no conflict of interest.